We all know shopping can get expensive. Keeping up with the latest trends, dressing for the changing seasons, and replacing old worn-out items can sometimes be financially daunting. But that's not always enough to stop us, which is why we're turning to more affordable options. We're talking about the items that sing to your sartorial heart without putting you in the red. Pops of color are not only reserved for warmer months. Madewell always hits the nail on the head with affordable bags that are also very on trend. Yes, Cult Gaia makes more than just the ark clutch, and we're really into this one. Did you know the inside pouch is removable? So this is basically two bags in one. An updated box-bag style for your fall wardrobe. Not your average little black bag. Parisian style in a practical bag. The bamboo handle sets this bag apart. This bag only looks expensive. This vintage style is back in a big way. Brighten up your winter wardrobe. Although straw bags are usually reserved for warmer weather, this shearling lining makes this one perfect for the season ahead. This sleek, simple design will be your every day go-to. These mixed neutrals are so versatile. Haven't shopped Charles & Keith before? Now's the time. On trend and under $30? Yes, please. This bag is all over Instagram–and we're here for it. The tortoiseshell detailing is everything. The sculptural bag of ours dreams. An affordable take on an upcoming trend. The belt bag isn't going anywhere–and this one is under $20. 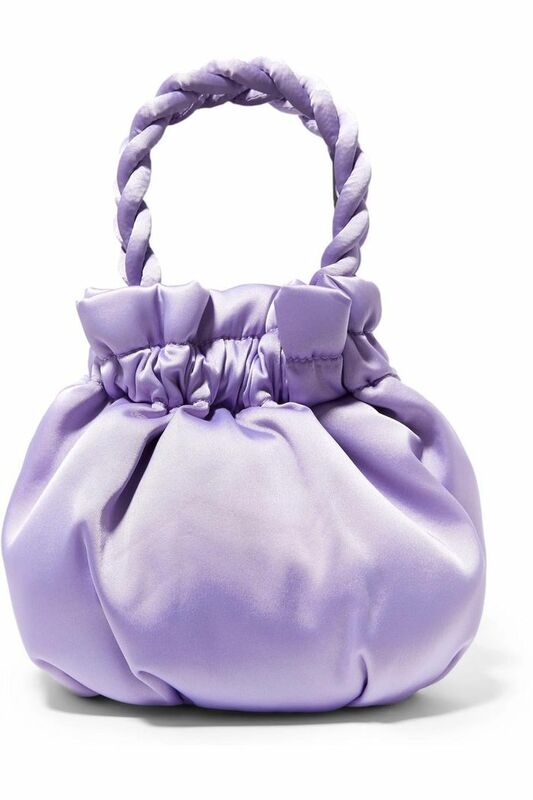 Holiday parties are just around the corner, and this festive bag is the perfect accessory.